In the default interactive mode, nodes provide information about their purpose when clicked. Orange subgraphs are used to hide functions. When clicked, these can be opened/closed. 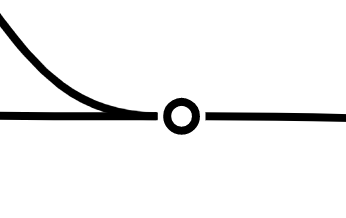 The token is the red arrow; this moves around the graph to perform evaluation. Purple rounded rectangle nodes are for constants. 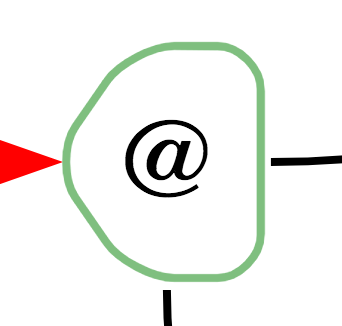 Contraction nodes are used where terms are referenced by multiple nodes. When clicked, they can be broken/restored. 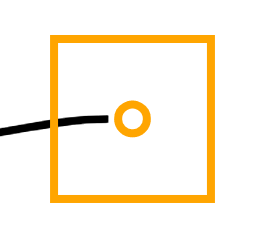 In the breakpoint toggle mode, nodes can be set or unset as breakpoints when clicked. Note: breakpoints may become inactive after stepping backwards, and can be enabled using the "Reactivate Breakpoints" button. Go to state n: this jumps to the given state (or the last possible state, whichever is first). 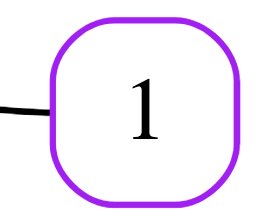 Interactive Mode: the default mode, in which subgraphs can be expanded, contraction nodes split, and other nodes can be selected for more information. Download: provides options to download a single or collection of states, either as SVG or DOT (or GIF for multiple states). This is a visual debugger tool for a subset of OCaml (including patterns and lists), using a GoI-style abstract machine for evaluation. The OCaml visual debugger was implemented by Jack Hughes, using the GoI-style abstraction machine implementation by Steven Cheung.